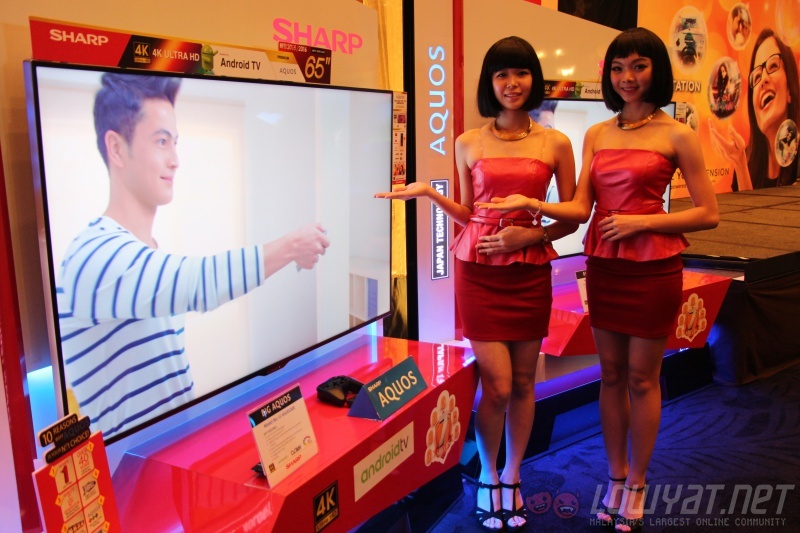 Sharp has just launched a range of new TVs in Malaysia, which include the UE630X, UA330X and LE275X series. The most interesting of the three is the premium UE630X lineup, which are 4K TVs powered by Android TV. Seeing how there’s not many TVs with Android TV in Malaysia, it’s timely of Sharp to introduce this lineup to Malaysia. As the most premium offering, the UE630X series feature an Ultra HD (3840 × 2160) panel with LED backlight, a quad-core processor to keep everything zippy, and of course, a whole suite of features that Android TV brings. One notable feature of the platform is Google Cast, which takes the capabilties of the Google Chromecast and implement it into the system. 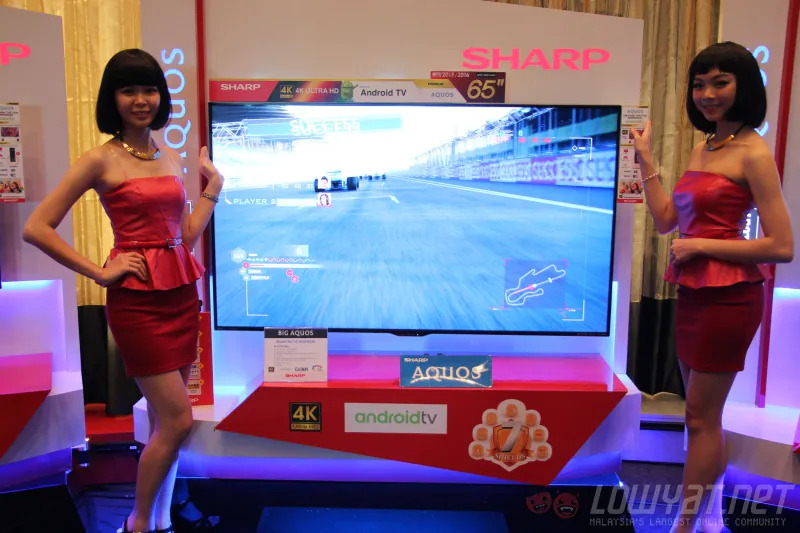 The UE630X series consist of 50-inch, 58-inch, and 65-inch models, which are priced at RM4,699, RM7,999, and RM10,999 respectively. 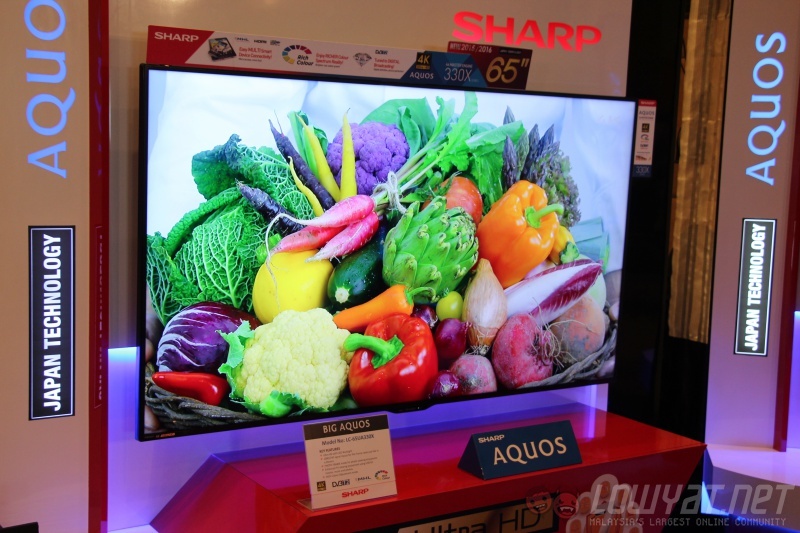 The UA330X series, on the other hand, are marketed as a more affordable range of 4K TVs. As such, it doesn’t feature Android TV. Unlike the UE630X lineup, however, this series are available in four sizes: 40-inch, 50-inch, 58-inch, and 65-inch. They are priced at RM2,699, RM3,699, RM5,499, and RM8,999 respectively. The most affordable of the three lineups are the LE275X series. 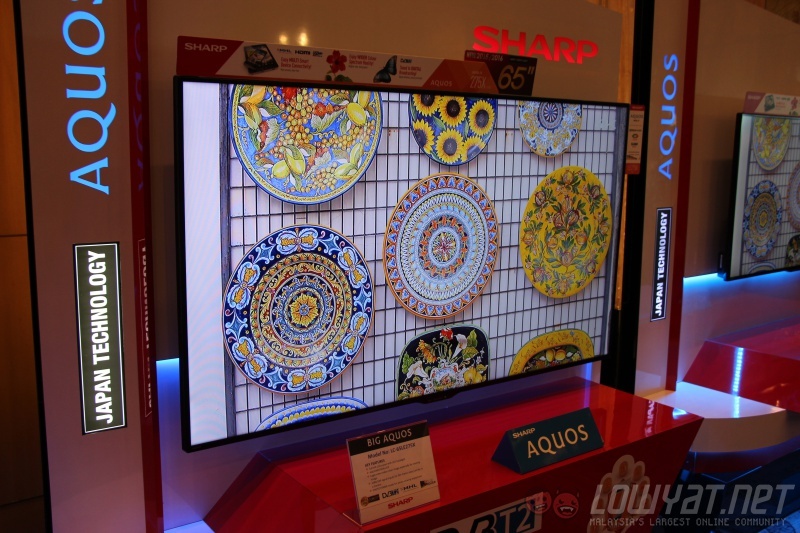 Unlike the other two series, the LE275X TVs have a 1920 x 1080 panel (except for the 32-inch model, which has a WXGA 1366 x 768 panel). However, this series still boast the same thin bezel design, which is nice. The LE275X series go for RM1,099, RM1,599, RM2,699, RM3,999, and RM6,499 for the 32-inch, 40-inch, 50-inch, 58-inch and 65-inch models. 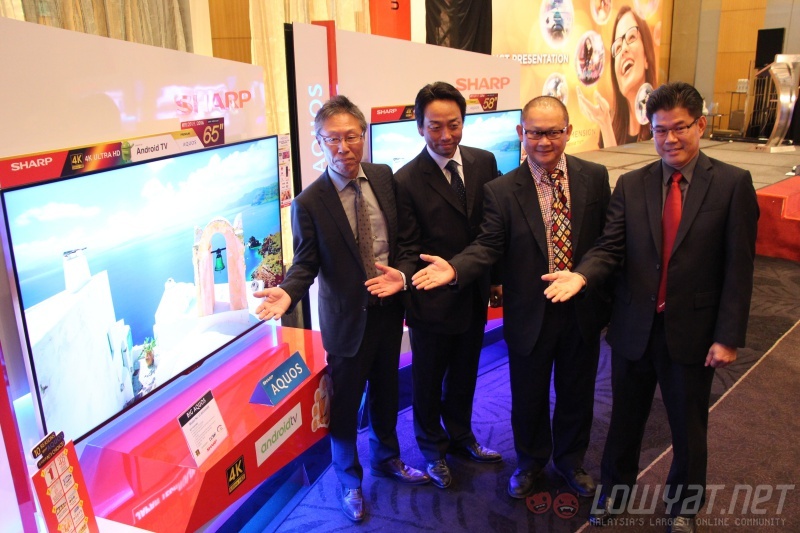 As for availability, we were told by Sharp that all three series will be available in Malaysia by the end of this month or early September 2015. Interestingly, the 50-inch and 58-inch LE275X models are already available in Malaysia. If you have your eyes set on the premium UE630X series with Android TV instead, keep your eyes peeled at your local store.